Life isn't easy for Margaret. She's moved away from her childhood home, she's starting a new school, finding new friends – and she's convinced she's not normal. For a start she hasn't got a clue whether she wants to be Jewish like her father or Christian like her mother. Everyone else seems really sure of who they are. And, worst of all, she's a 'late developer'. She just knows that all her friends are going to need a bra before she does. It's too embarrassing to talk to her parents about these things. So she talks to God instead - and waits for an answer . 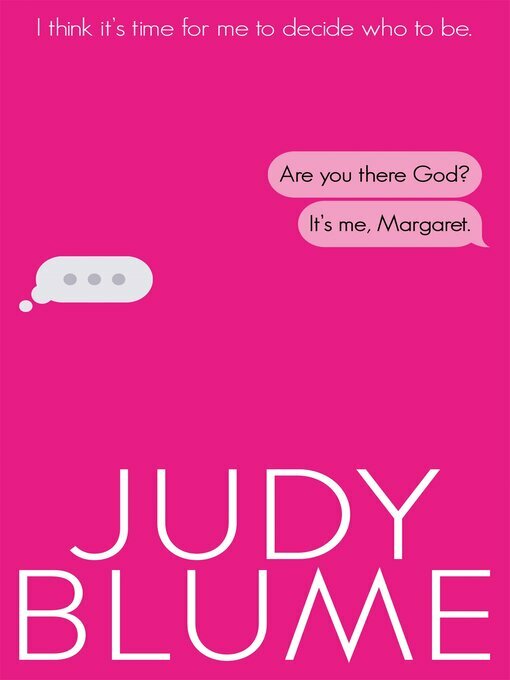 . .
Judy Blume has written some of the best books of our time about real-life issues – family stress and pressures, what happens when your parents divorce, the problems of growing up and sexual awakening, bereavement – with insight, sensitivity and honesty. The response of readers all around the world continues to make her one of the best-loved writers ever published.